How we are going to spend such beautiful night? Sit straight, close your eyes and relax your shoulders and whole body. Remember your mother and father. Mentally thank them and offer salutations. If you have any favorite Guru/ God pray them. Say Namaskarams to Masters of all times. Observe your breath pattern for a while. Don’t try to change it. Just watch. Observe your mind. Let it go. Within your mind strongly affirm, “The Moon rays are regulating my physical, mental and spiritual levels and I am blessed with health, peace, pure love, light, bliss and enlightenment”. Feel the cool moon rays. Feel the divinity in them. Drench in that divinity. Observe yourself and dwell into the depths of self. When you feel you are done, rub your palms; gently place them upon your eyes. Feel the warmth and slowly open your eyes. Smile at yourself. Feel the inner glow and serenity. If you practice this once you will never miss it on any full moon day. Practice continues as it rejuvenates body, mind and soul. It is said Manokaraka Chandra: The moon is primarily responsible for the state of mind and relation with mother. It is also said medicinal plants are developed with the rays of moon. 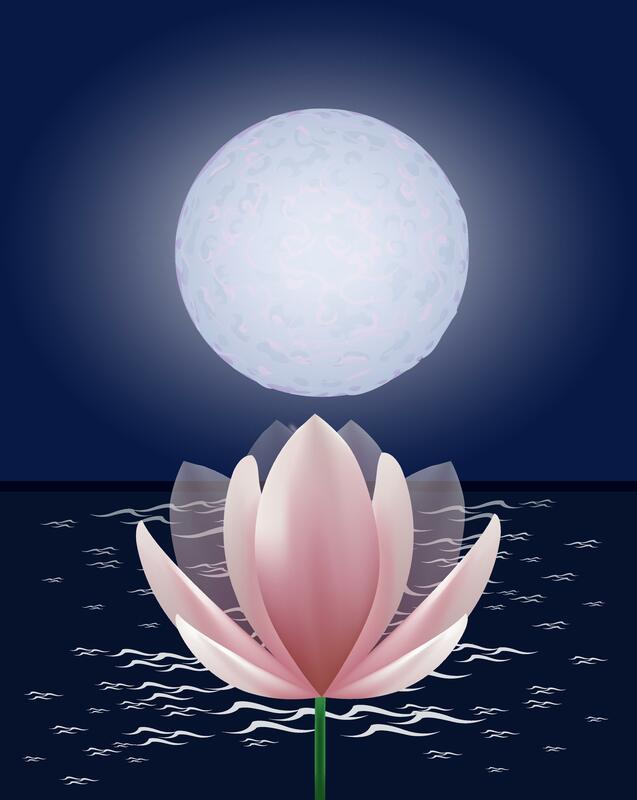 By praying moon, stability of mind can be achieved. So, practice meditation and attain peace and bliss.